Jump aboard and travel with us to the land of make believe; The Chad Valley, powered, ride on train comes complete with a 22 piece track. Use the carriage to give their favourite toys a trip around the track. They'll be enchanted with sounds in the steering wheel and a working LED headlight. Ride on train travels forwards and backwards. 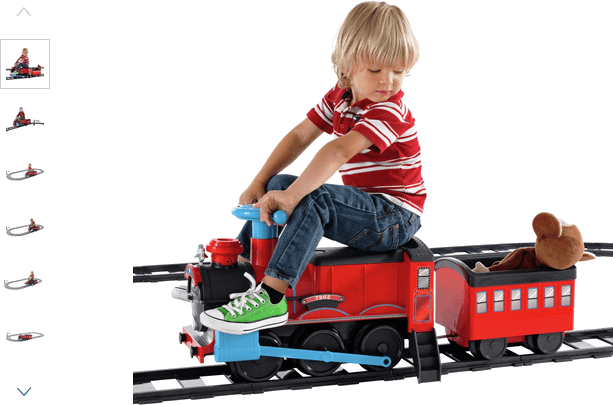 Get money off with April 2019 free Argos voucher codes, see if there's a discount code for the Chad Valley Powered Ride On Train and Track Set product.